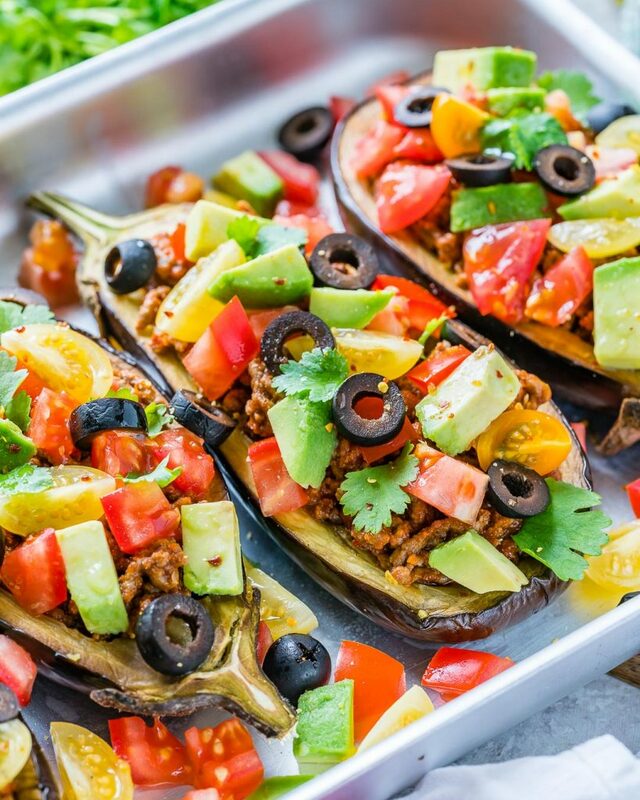 Taco Stuffed Eggplant Boats for Creative Clean Eating! 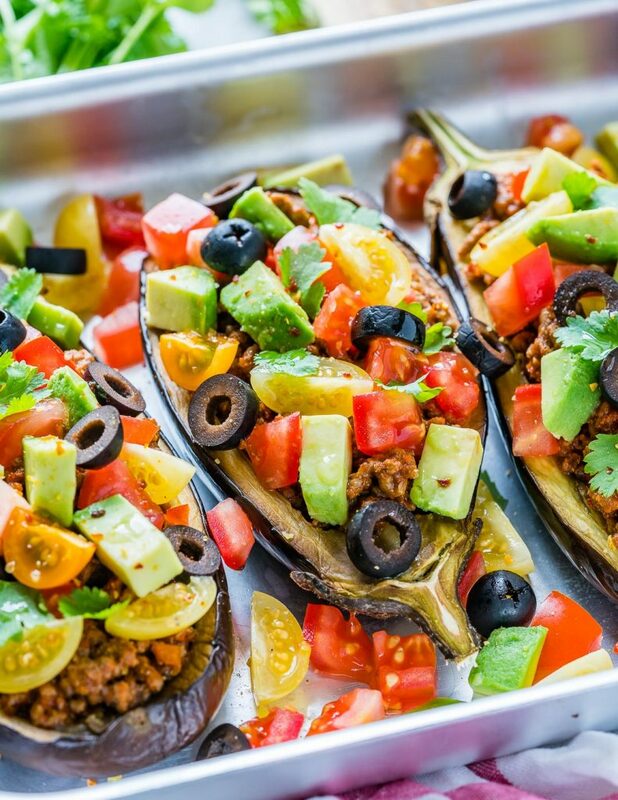 Cut the eggplants in half lengthwise and scoop out pulp, leaving ½-in. shells. 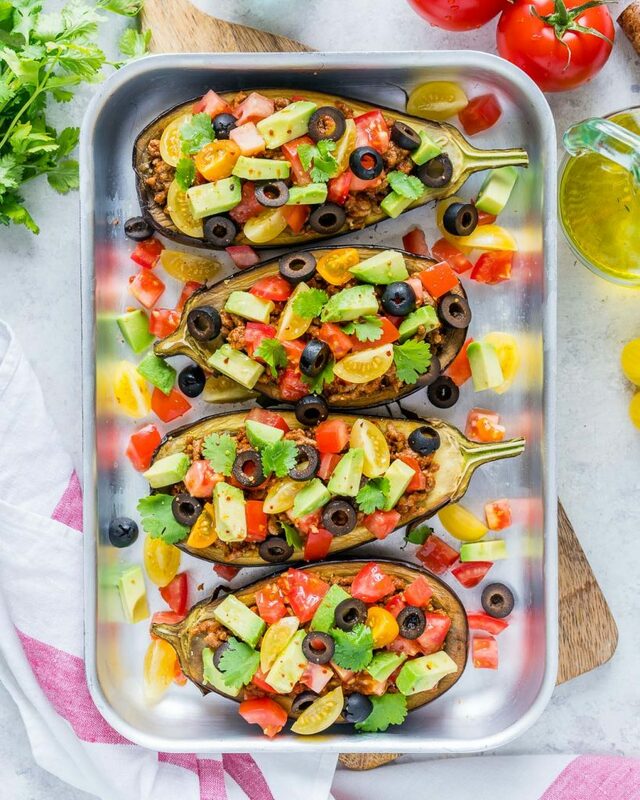 Line the eggplant on a large baking tray. Chop the pulp up and set aside. Heat a large skillet with 2 tbsp. oil over med-hi heat. Add meat and cook until no longer pink. Drain the excess grease. Add the chopped eggplant pulp and all the spices, then cook for and additional 5 minutes. Season with salt and pepper to taste. Add in the tomato sauce and stir to combine. 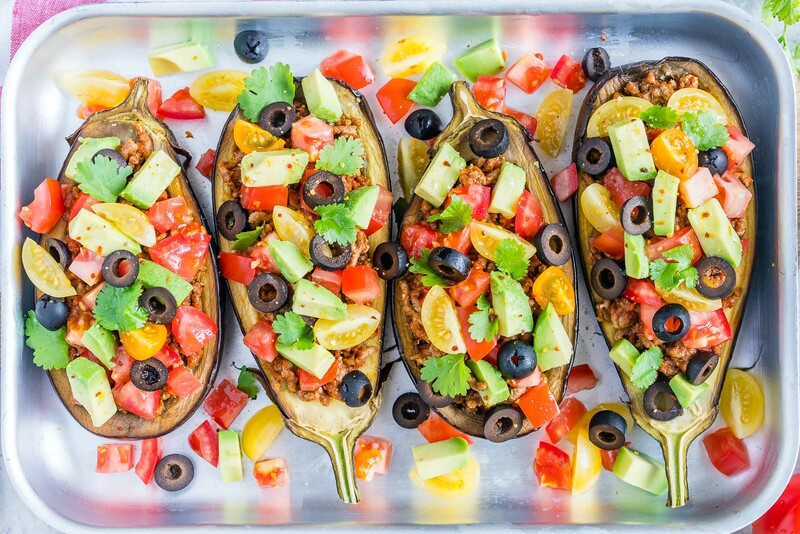 Fill the eggplant boats evenly with the meat mixture. 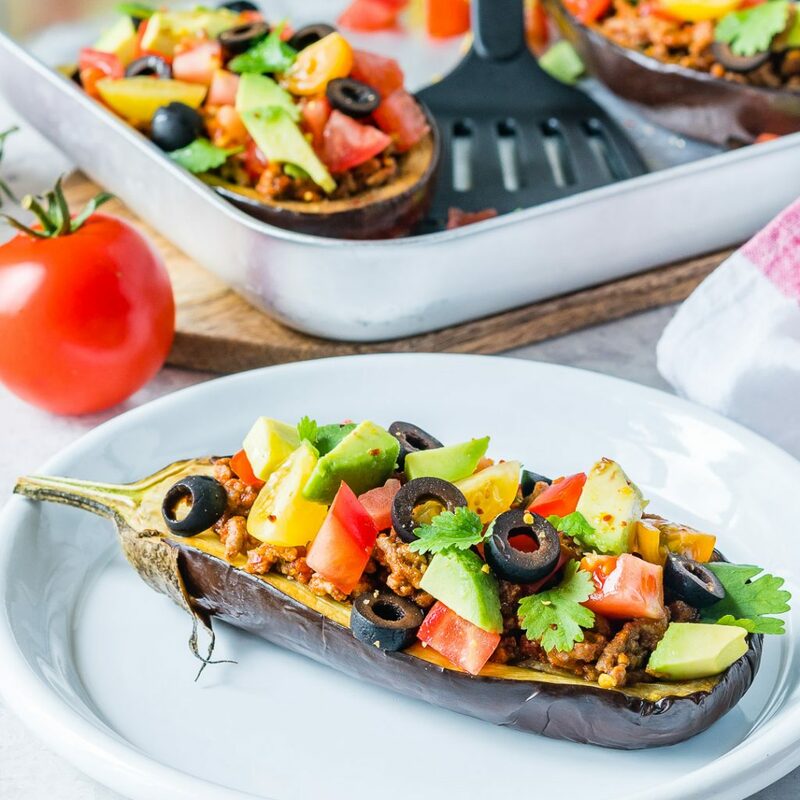 Bake uncovered for about 20 minutes or until the eggplant is tender. 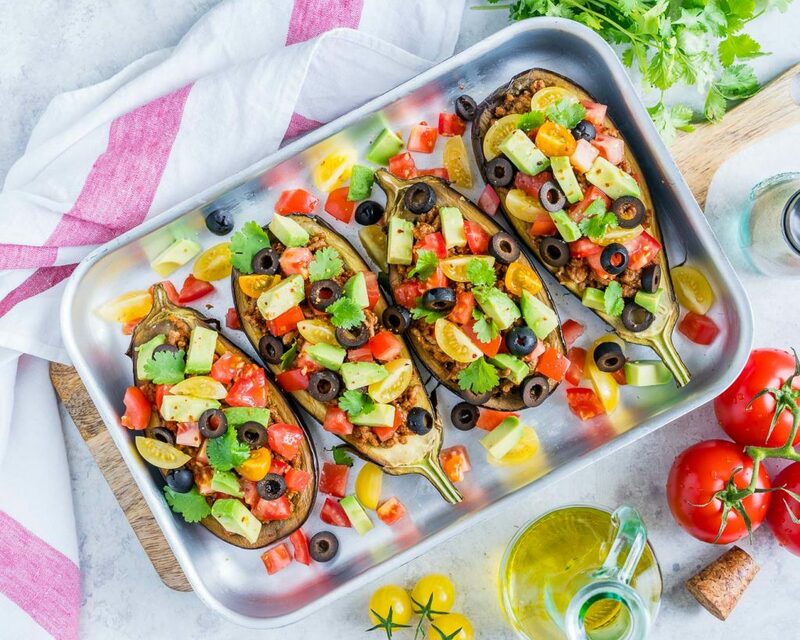 Remove from oven and top with avocado, tomatoes, olives and fresh chopped herbs.